Christmas songs are officially on the radio now which means winter is here. Fly fishing the winter means big winter steelhead, great BWO action, and layers upon layers of warm clothing. 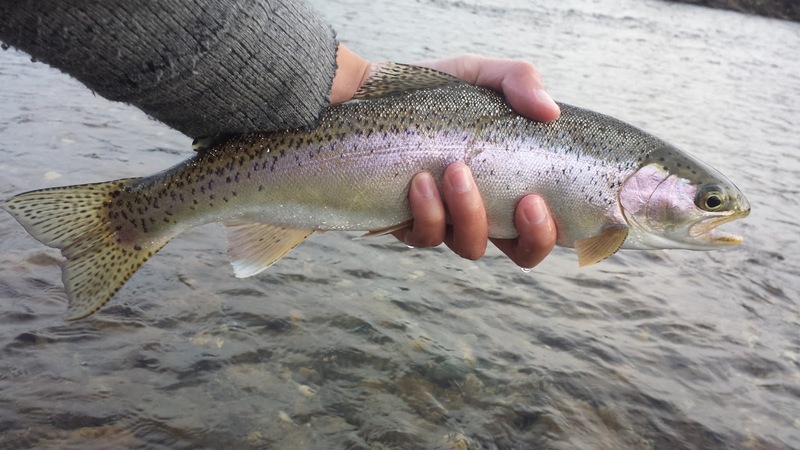 I primarily enjoy fishing the Yuba and Feather during the winter whereas they are some of the best winter fisheries that are open during this time of the year. I went out and hooked a few on dries but couldn't land any. Later after the hatch was over I swung an egg and nymph and hooked some goodies. 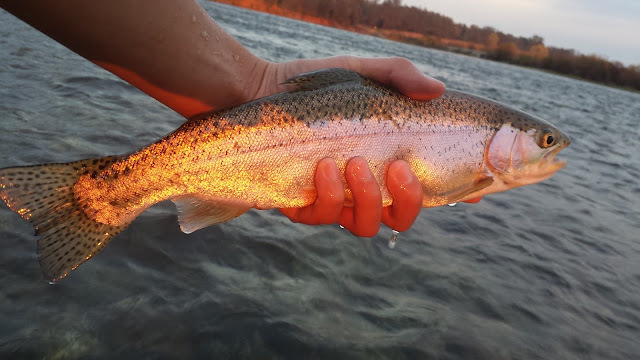 Winter on the Yuba means BWOs, skwalas, eggs, San Juan worms, and midges. The BWO hatch has begun and can last most of the winter. It's a great time to test your skills at presenting small dries or emergers to rising fish in the quieter sections of the river. It can be very challenging but very fun and rewarding. I can't wait for the salmon eggs to hatch so I can try swinging some alevin patterns. Winter on the Feather primarily means eggs, San Juan worms, and alevins although BWOs will show up from time to time as well. Most anglers will spend their time fishing the hatchery section when it opens on January 1st but I've grown out of that section. Too many anglers and a bit too easy to fish. As everyone migrates to that section I'll be swinging through all the runs below that when the time comes. Other popular winter fly fishing destinations in Northern California are the Smith, Trinity, Eel, the Delta, American, Truckee, and the Lower Sacramento. Pyramid Lake in Nevada is also a great still-water winter destination. Wherever you decide to fish make sure to bring warm clothing, extra clothing in case you get wet, and a clear fly fishing mindset.